10/27/2018 - Updates to Watchman kits. 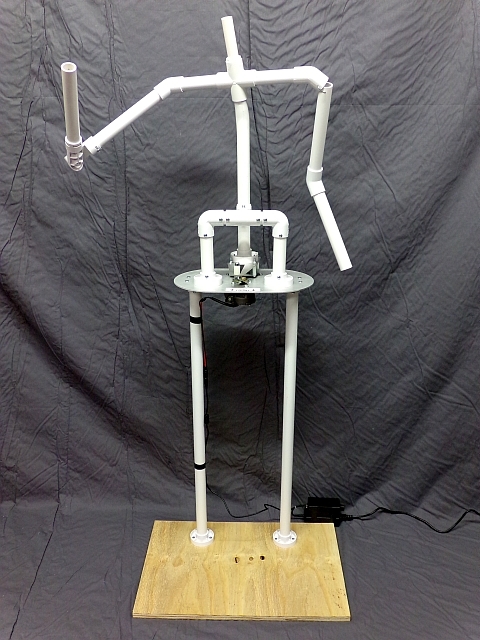 Kits now include (4) Spider Joints allowing for completely adjustable arms. 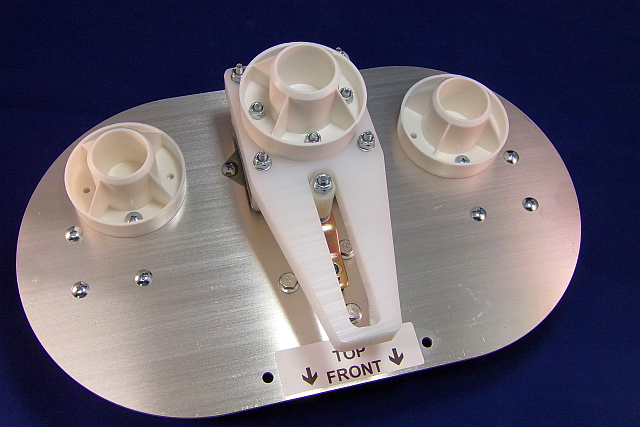 Spine support assembly has been redesigned to simplify assembly and increase support. Main drive arm has been replaced with one made out of UHMW plastic for quieter operation and reduced wear. The Watchman sees all! Manufactured from sturdy 1/8" aluminum plate, this kit promises to stand watch over your cemetery for a long time. His movement rides on a 3 inch steel lazy Susan bearing assembly and the drive arm features a nylon roller for low friction. 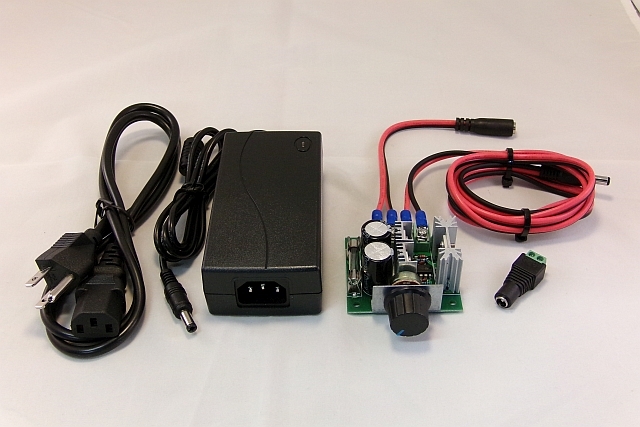 The included PWM speed controller allows you to adjust his speed to exactly where you want it. Please read the product description completely before ordering. If you have any additional questions, please feel free to contact us. We designed this kit to allow you to build your own custom animated prop without all of the hassle of chasing down a bunch of parts. With minimal care, this kit should last you a very long time. Should it ever need repair, most of the parts can be sourced locally. 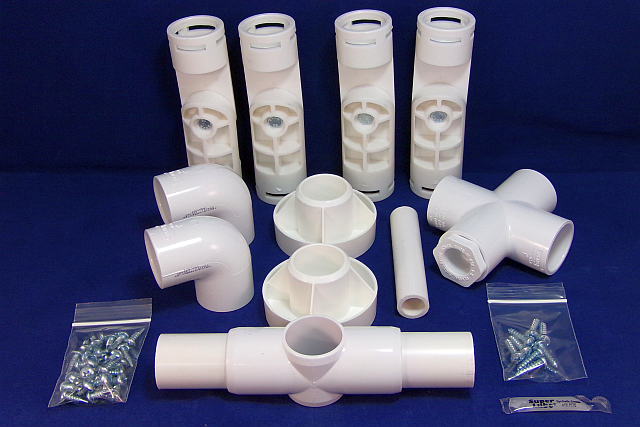 We will also provide support and parts for any kit that we sell. What will I need to build this prop kit as shown here? All of the screws and hardware needed are included! Height of kit will be about 6 feet tall when assembled depending on the head you choose. A: Hi Joe, the head and hands came from Ghost Ride Productions. www.ghostride.com. The head is called Old Timer and the hands are their Caretaker hands. A: Hello, the bearing in the mechanism is not designed to be used vertically. If you kept the mechanism horizontal and just bent the neck pipe, that would work as long as you supported the neck above the mechanism similar to the way it is on the Watchman. Thanks! Q: Where did you get the lantern for this prop? What kind of weight will the arm hold and swing? A: I believe that particular lantern came from Walmart. You can pretty much use any similar lantern. It is much easier if you can find one that already has LED lights in it. The prop can turn a fair amount of weight, what the arm can hold will depend on the hands and the PVC itself. With the Watchman hands you can get away with a couple of pounds hanging without an issue.